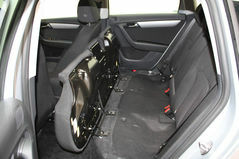 you are here > Home > Fitting > How it fits ? 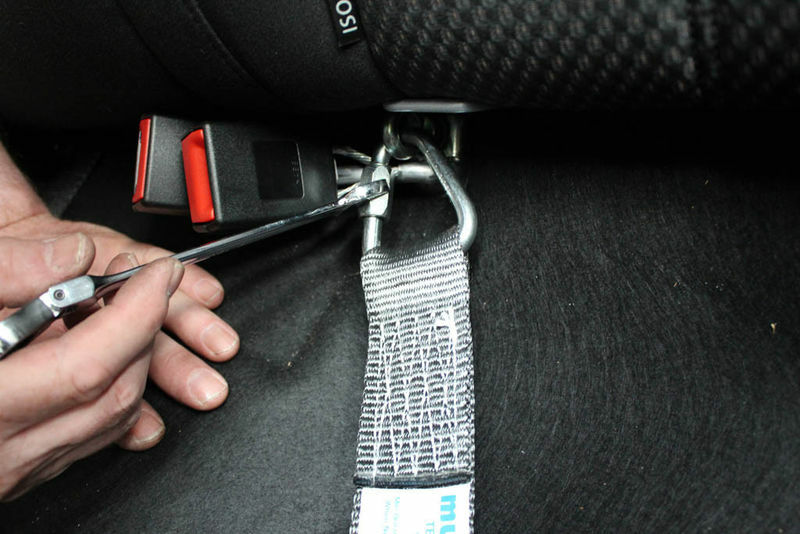 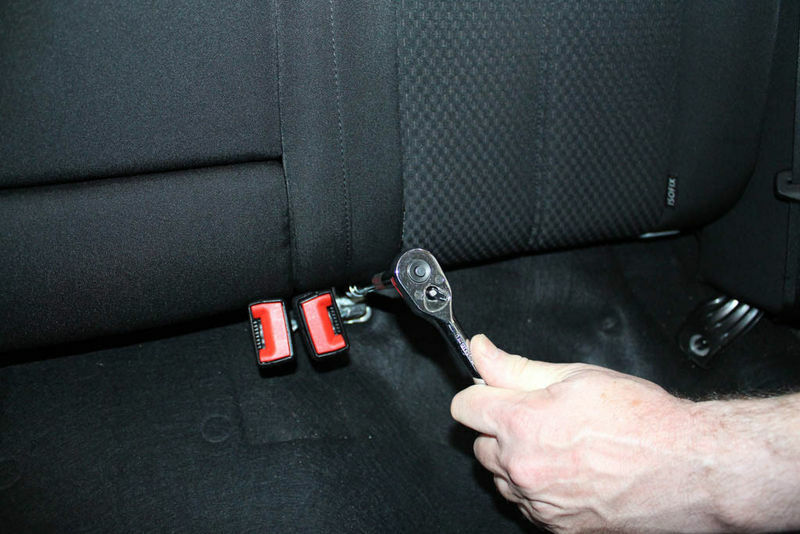 Once the tether straps have been fitted, the Multimac can be put in or taken out of you car in just two minutes. 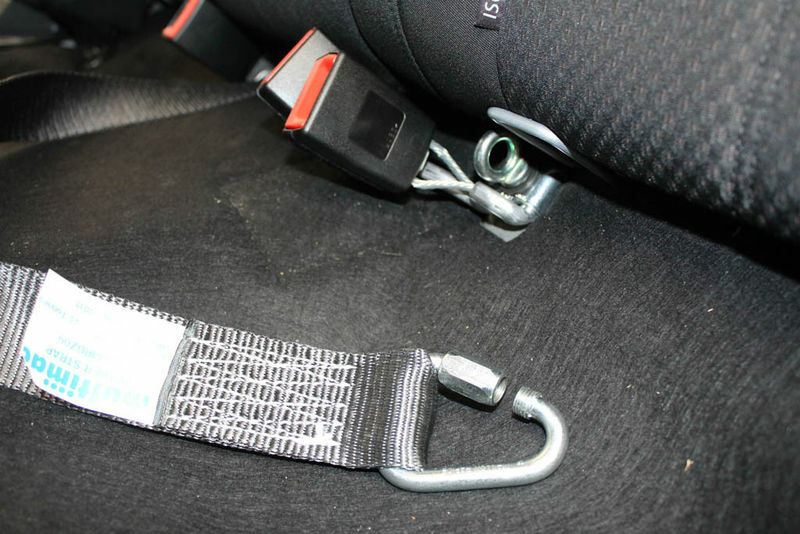 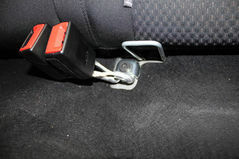 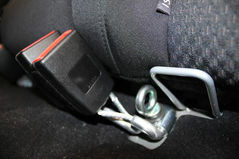 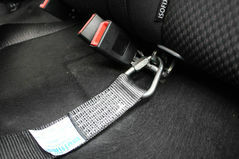 The tether straps are bolted into the floor of the car, using the existing mounting points for the seat belt buckles, under the back seat. 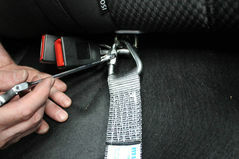 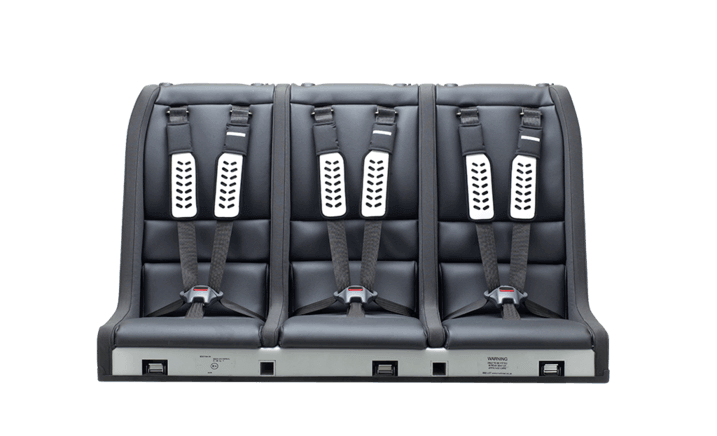 Once the tethers are fitted you can take the Multimac in and out easily and the original buckles will remain in place so the back seat is as it was. 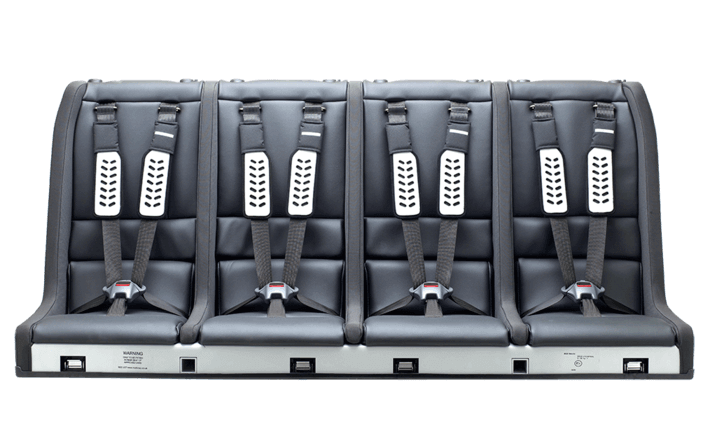 You can have the tether straps fitted in more than one car and share the Multimac between them. 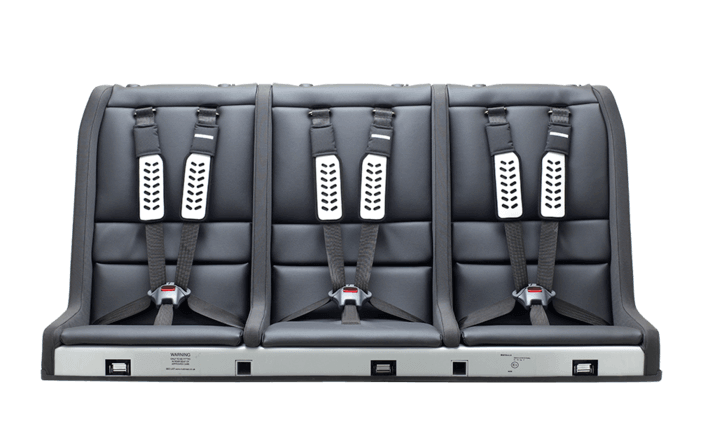 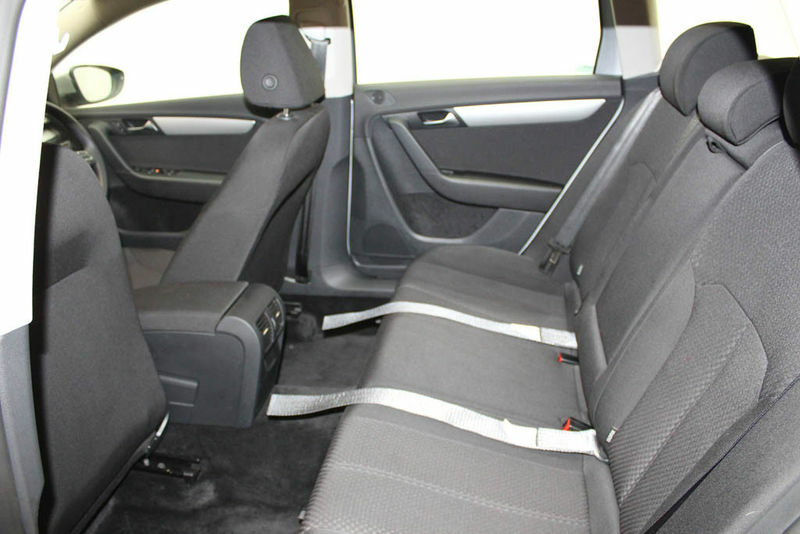 The tether straps quite easily tuck under the back seat so they are not showing when they are not being used. Some cars (e.g., BMW 5 series, Audi A6) have buckles that stick right up above the seat gap and would be crushed if the Multimac (weighing 30/40kg) was placed on top of them so we provide buckles on webbing to replace these. 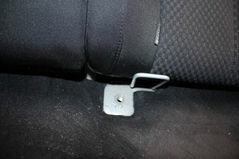 See on order page - replacement adult buckles. 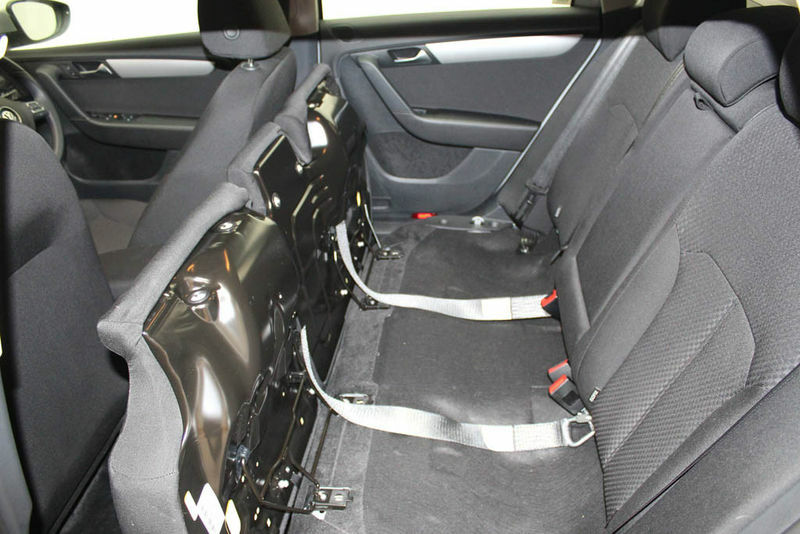 The Motability team are experts at adapting cars to suit disabled drivers and do lots of work allowing vehicles wheelchair access etc, so they are more than capable of installing a Multimac and are fully insured. If you are an overseas customer - please download the fitting guide and show it your local garage who should be happy to help.